The Southwest Region is home to Four Corners, the only place in the United States where four states (Arizona, New Mexico, Colorado, and Utah) meet at a single spot. It has many different climates and landforms. Click here to learn more about travel in the Southwest. 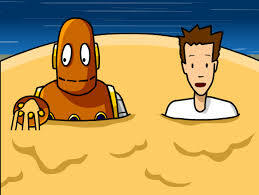 BrainPOP, Jr., "Slow Land Changes"